All the services and work of the Henry Spink Foundation and Henrietta's Dream are funded by private donations. Henry Spink, who has given his name to the charity, does not directly benefit from any money given. 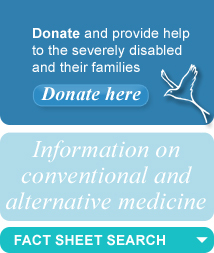 All funds are used to provide help and advice to the severely disabled and their families. Increase the value of your gift - at no cost! If you are a UK tax payer, we can claim GiftAid on your behalf. This can increase the value of your donation by almost a third. Please print the donation form and send it with your cheque so that the charity can benefit. With your declaration, we can reclaim tax to increase the value of your gift at no extra cost to you. You can also donate through Just Giving by clicking the button below. To print the GiftAid Declaration you will need Adobe Reader. Click here to download your free copy of Adobe Reader.